My boy Eros hit me up with this link for a friend of his who make some very creative Christmas (and Hanukkah!) sweaters. The website has a lot of unique designs (Reindeers getting it in - as pictured above, Black Santa, and many more) - check it out for yourselves at Tipsey Elves! 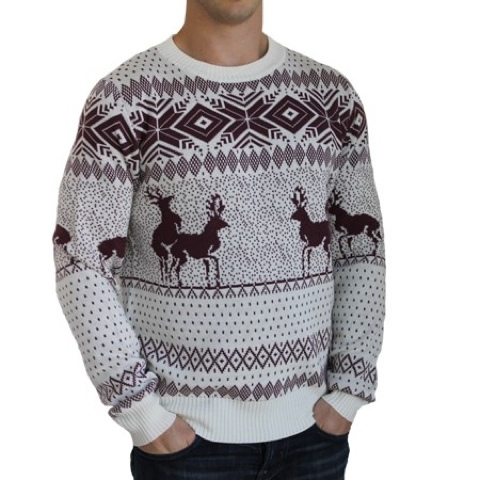 Oh, and did I mention that each Christmas sweater purchased leads to sweaters donated to children in need? That's the holiday spirit right there!